When you visit our San Diego dental office, your smile is our top priority. Our entire team is dedicated to providing you with the personalized, gentle care that you deserve. 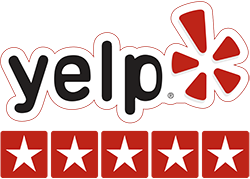 “What a completely painless, warm experience - I never thought I would look forward to seeing the dentist! 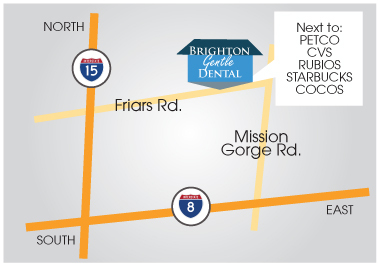 Brighton Dental San Diego, and Doctor Paige Woods (as a Cosmetic Dentist) Offer An Array Of Dental Services, Using Up-To-Date Technology and Procedures. Eat less adulterated and processed foods and include more cultured foods, protein and vegetables in the diet. Take charge of their health by asking questions of health professionals (regarding their dental and medical procedures). Use available most biocompatible dental materials. Use ozone-infused water in the home to help in keeping up oral health. Let patients know about the tie between systemic disease and dental health. Advocate spiritual and mental health using meditation and yoga. Dr. Woods and Dr. Vinograd understand that dentistry goes hand in hand with systemic and mental health. Therefore, they put an importance on the relationships they makes with their patients. Patients often walk out of the office with various health tips and a hug. The key priority for Cosmetic Dentists Dr. Woods and Dr. Vinograd, are their patients.. ensuring that they’re not hurt during and after the procedures. They take pride in assisting scared patients to ensure they have a great dental experience. Cosmetic Dentists Dr. Woods and Dr. Vinograd say they are delighted to work at a job that allows them to assist in the well-being of people and develop special connections. They know the majority of folks are scared of visiting the dentist because of previous dental experiences. 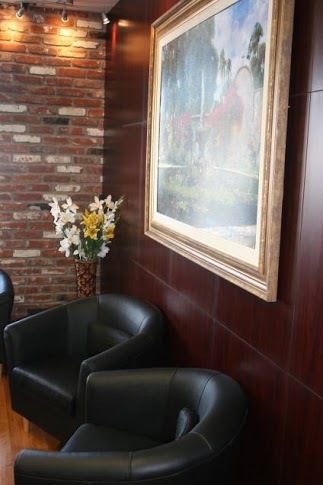 Therefore, they base their doctor-patient relationships on earning the patients’ trust, and are devoted to offering painless dentistry and superior results. Cosmetic Dentist, Dr, Paige Woods, Graduated from Richard Stockton College with the American Chemical Society Certification, and from Loma Linda School of Dentistry with the Deans Circle award. She belongs to the American Dental Association, the California Dental Association, and has also had her work published on the subjects of Micro-Abrasion & Bonding. Dr Woods works with the Compassion Clinic, Mead Valley Community Service, Assistance League of Redlands, Clinic With A Heart, as well as mission trips to Mexico and the Philippines to treat underprivileged families on a pro-bono basis. 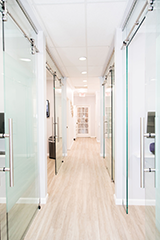 Dr. Paige Woods believes in treating the sum of her patients health, which includes their systemic health, dental anxiety, and providing them aesthetically pleasing cosmetic dentistry. Dr. Woods uses acupuncture meridians as well as aromatherapy, to provide a holistic, spa-like experience. Cosmetic Dentist, Dr. Daniel Vinograd, is a 1978 graduate from the University of Southern California where he attained his Doctor of Dental Surgery degree (D.D.S). He also received his dental certificate from the Universidad Tecnologica de Mexico as well as his Bilingual Secondary Education Teaching Credential in 1992 from San Diego State University. Doctor Vinograd has more than 25 years of general and cosmetic dentistry experience with eight years of biocompatible dentistry experience. He’s an associate instructor with the University Of Southern California School Of Dentistry, has taken part in five dental mission trips, volunteering in Israel in 1978, 1980 and 1990, and can speak Spanish fluently. He is a current International Association of Mercury Safe Dentists, International Society of Dental Anxiety Management and International Academy of Oral Medicine & Toxicology participant. In his downtime, Doctor Vinograd spends time doing yoga and meditating. 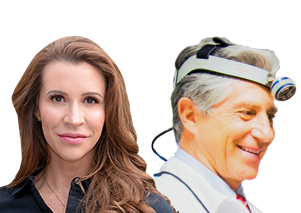 Dr. Paige Woods & Dr. Vinograd are Dentists in San Diego, CA, offering such services as teeth whitening, dental crowns, invisalign, implants, lumineers, dentures, root canals, holistic, family and cosmetic dentistry.